Of all the people who attend the reception, you, as the Mother of the Bride, will be one of the proudest. After all, your beautiful daughter is about to be married. It’s rare when you, as the Bride’s mother, aren’t involved with the wedding planning – from the initial stages all the way to welcoming guests at the reception. If you’re the Mother of the Bride you have one goal in mind: To see that your daughter’s special day is nothing short of perfect and represents a day to remember for the rest of her life. Even with all of the duties the Bride’s mother performs in helping prepare for her daughter’s important day, there’s one duty that is usually expected at the reception. And that’s giving a Mother of the Bride Speech. What many people don’t realize though is that because the MOB is so busy, she doesn’t have a lot of time to prepare her tribute to the Bride and Groom. And yet, it would be noticed – and a huge disappointment to her daughter – if her speech were not perfect. Fortunately, if you’re the MOB you don’t have to panic if time is short and you have to give a speech. What Do You Want To Accomplish With Your Mother of the Bride Speech? If this is the first time you’ve given a Mother of the Bride wedding speech then there are certain things you’ll probably want to achieve. 1. You want to start strongly and capture the guests’ attention immediately. This is important because you’ll very likely find that there will be noise and people talking while you are addressing the guests. One of the best ways to do this is to start off with humor. 2. You want your tribute to be sentimental…with a touch of humor. And you want to know how to blend the two so there’s a perfect balance. 3. You want to feel confident. 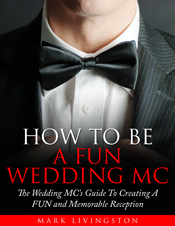 You don’t want to make a fool of yourself and be humiliated in front of 100 or more guests. 4. You want to give a special tribute to your daughter and her groom. You want it to be memorable – something your daughter and her groom will remember with affection. 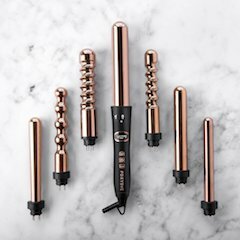 Your presentation will be one of the highlights of your daughter’s wedding. It’s one that you’ll look back and remember with pride. And it’s definitely one that will be cherished by your daughter. But, if you’re like most Mothers of the Bride, you don’t know where to start or what to say. You don’t know jokes or quotations that are appropriate for weddings. And you don’t know how to word your feelings and sentiments so they are meaningful – especially to your daughter. Not only that, you need inspiration to get ideas flowing so you can create a memorable tribute. 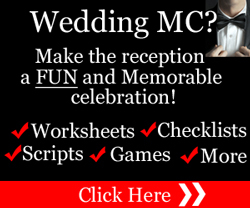 There’s a specific outline you can use that covers the basic formalities of your speech for virtually any reception. 1. First, you want to thank your guests for attending this important day. Many times people travel long distances to attend a wedding. Some fly from other countries or other parts of your own country. And it’s not unusual for elderly people to attend too. So it’s important to acknowledge the special effort these guests have made to celebrate your daughter’s wedding. 2. Next, you acknowledge those who made a special contribution to the wedding planning. This could be those who helped decorate the reception hall. It could be that a relative or friend contributed to baking the wedding cake or making the signage or helped with the decorations. Or it could be a general acknowledgement to the caterers and florist for the wonderful buffet meal and the beautiful flowers and centerpieces that adorn the reception hall. 3. Next, you will launch into your presentation. A short anecdote about your daughter is appropriate. A special time as mother and daughter. This is what marks the special relationship between a mother and her daughter and why a daughter’s wedding is so important to the mother as well. You might include a wedding joke, too. 4. Finally, you will pay tribute to the Bride and Groom with an uplifting toast. You will toast to their future happiness and a loving marriage filled with joy, laughter, and children. It seems so simple to write a few words and have the audience listen to every word you speak, doesn’t it? The reality is completely different, though. How do you find the words to tell your daughter how much you love her? And how do you end your speech on a high note with a toast that fills guests’ eyes with tears? It really is an accomplishment to achieve those things in front of hundreds of people who are at the reception to honor your daughter and her new husband. Fortunately, it’s not as hard as you think. >> First, write down the special times you’ve had with your daughter over the years. Write down the good memories you’ve shared with her, whether she was a child, teenager, or young woman. >> Secondly, write down those qualities that make your daughter unique – and very special in your eyes. It could be her personality. It could be her kindness or compassion. It could be her intelligence. It could be her accomplishments and successes that she’s achieved so far. >> Finally, once you have these general thoughts on paper it’s time for expert guidance. And you get that expert guidance with speech samples. They’ll make your writing a lot easier. They’ll include jokes and one-liners and quotations that you can add to your presentation. They’ll show you how to start and finish with impact. When time is at a premium, using samples of other tributes is the fastest way to write a funny and sentimental speech that honors your daughter. There’s nothing worse than a tribute that’s rambling and long winded. That’s why you need samples to help guide you. You’ll see how long they are and how they flow smoothly from the beginning to the final toast. Reading your speech will affect your delivery and can make it sound boring. It also makes you look as though you’re nervous. And you don’t want people thinking that – even if you are. Instead, you want to appear poised and confident. By all means keep your notes handy. But don’t read them word for word. I realize time may be short for you as the wedding day draws near. But practicing does make a huge difference. Memorize your toast. It’s the last part of your presentation and it should be flawless. Not only will rehearsing and memorization help you polish your tribute before your daughter’s big day, it will also give you confidence as you stand before your guests and deliver the best ever Mother of the Bride Speech. I wish you every joy and happiness at your daughter’s wedding! Are You Planning Your Daughter’s Reception? Every Mother of the Bride wants her daughter to have a FUN time at her wedding. That’s why it’s so important that all of the planning that you’ve done is as flawless as possible. Click the following link to find out how to create a FUN and Memorable reception for your daughter. 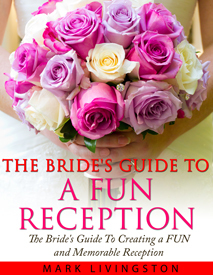 You’ll discover where to get FUN wedding games and entertainment, sample wedding agendas, a Quick Start Guide for the Wedding MC, and much more to make your daughter’s wedding a fun, exciting, and memorable experience.